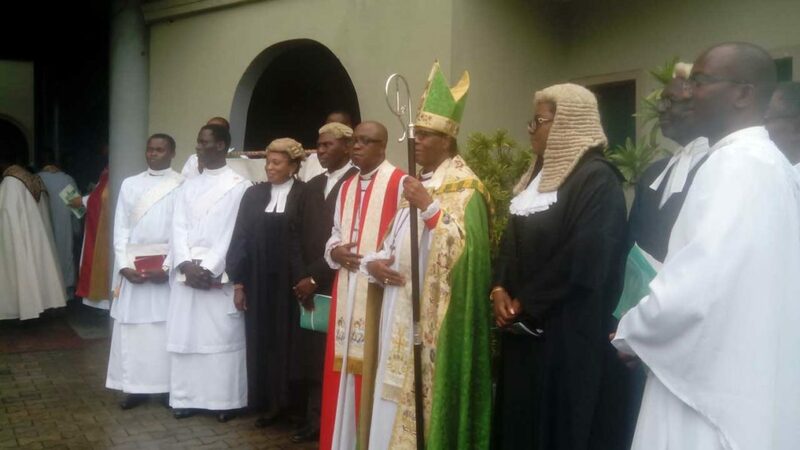 Right Reverend Adebayo charges clerics to be focused as Anglican church ordains deacons, priests – Royal Times of Nigeria. The Lord Bishop of Igbomina West Diocese, Kwara State, of the Church of Nigeria (Anglican Communion), Right Reverend Olajide Adebayo has highlighted the call to salvation, the call to holy living and the call to ministry, as three key areas to successful ministry. He said this at the weekend at the Cathedral Church of Christ, Marina, Lagos, where the Diocesan Bishop of Lagos and Dean Emeritus, of the Anglican Communion, Most Reverend Dr. Ephraim Ademowo, ordained four deacons and eight priests, at his last ordination service, as he prepares to retire this month. While urging the newly ordained ministers to be focused, as well remain faithful to God who has called them into the ministry, Reverend Adebayo noted that a minister who is not saved and is not called is a pretender and cannot get to heaven. On the activities of herdsmen, the Bishop called on the Federal Government to apply the law on those who mastermind the killings in the country.